Today in this post I will tell you how you can setup your own feed domain on FeedBurner. You must have show my Feed address which is feeds.SJbn.Co/Jajodia-Saket, as you see I use FeedBurner service but I don’t use feeds.feedburner.com. If you also want change your present FeedBurner feed address (feeds.feedburner.com/YOUR-FEED-NAME) address to feeds.example.com/YOUR-FEED-NAME. It may takes up to 24 hours to get setup. After it started working change your FeedBurner feed address to your new feed address everywhere you have used. After changing your FeedBurner feed address only your URL will change, you won’t lose any readers. If you have any question or problem let me know. I know these steps but I still feel that it is good to see feedburner. Can I revert back the changes later ? Yes, you can.. 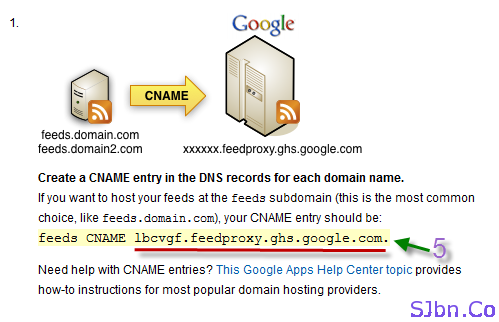 Even after setting up your own domain you can still able to use FeedBurner domain..